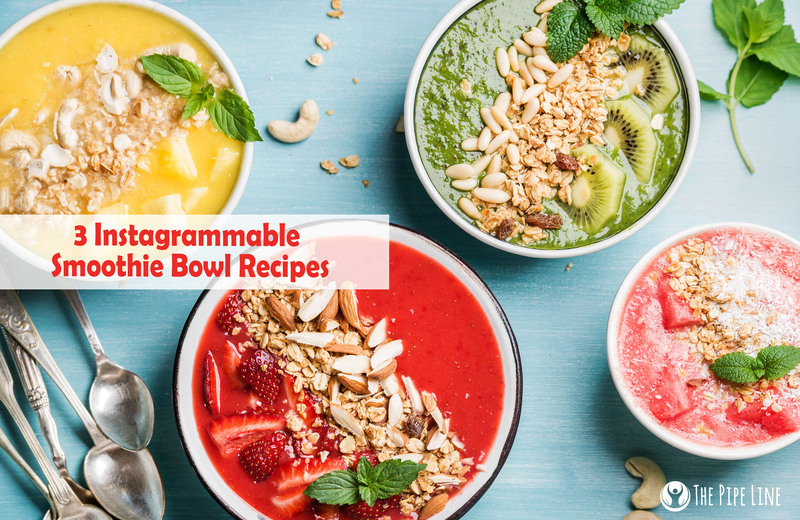 The Pipe Line 3 Instagrammable Smoothie Bowls You'll Love Making (And Eating)! 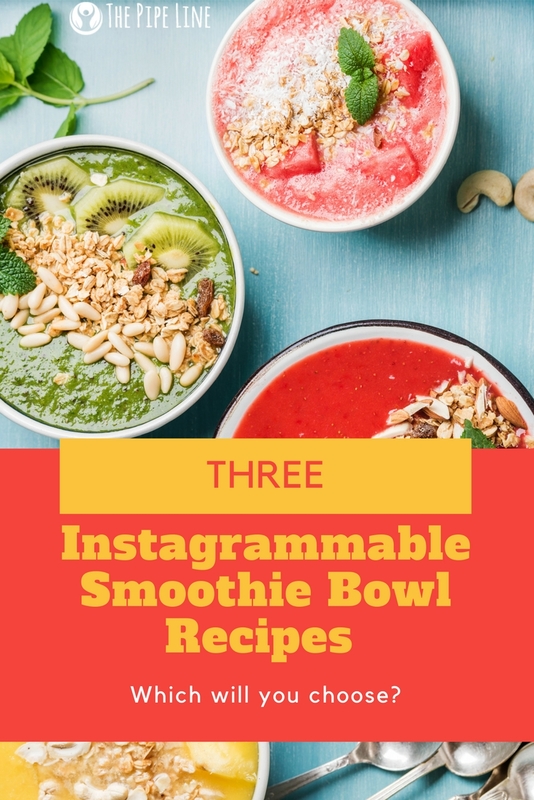 3 Instagrammable Smoothie Bowls You’ll Love Making (And Eating)! Food is having a moment. It seems that the aesthetic of what is eaten, and what is inside what is eaten, holds a high importance now more than ever before. This, of course, we are completely okay with. We’d like to blame Instagram for the phenomenon and the world’s newly found appreciation of food, but, it is also the growing interest in wellness that plays a direct role in this change. 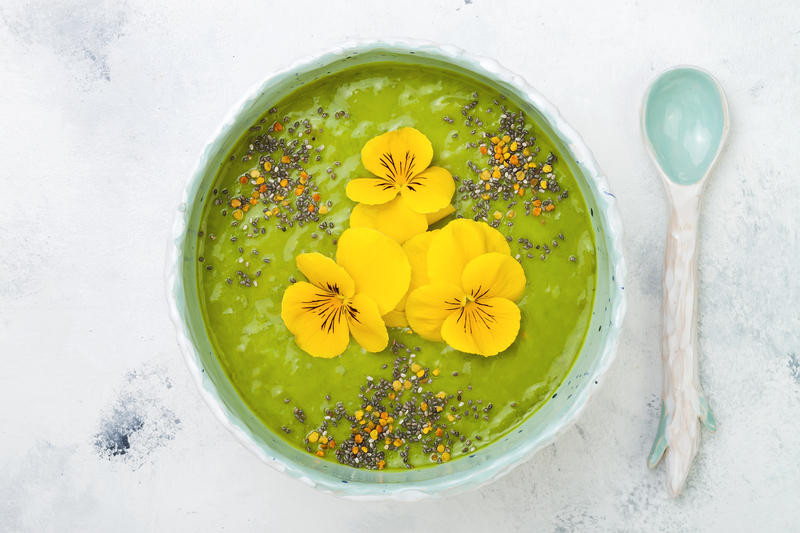 Today, we want to bring out the major player in this: smoothie bowls. The fruit *and/or* vegetable filled bowls-of-greatness that are probably all over your social feed, are surprisingly beneficial for you (minus what their colorful facade may lead you to think). These bowls are not only fun to look at, they are fun to make as well as to eat. 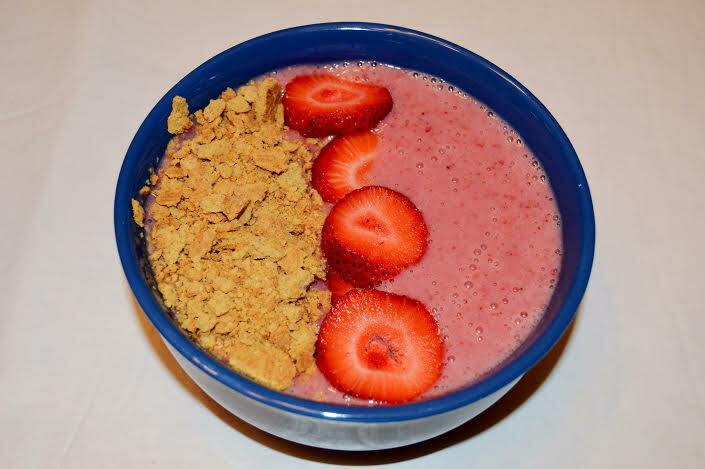 Unlike their parent, the regular smoothie, smoothie bowls provide endless variations. People are starting to care more about the aesthetic and nutrients in their food. Social media emulates that change. Each recipe brings out a sense of creativity, which is one main benefit we love. The bowls can be topped with granola or fruit. Or, can be sweet or slightly savory. In short, there is only one limit: your imagination. 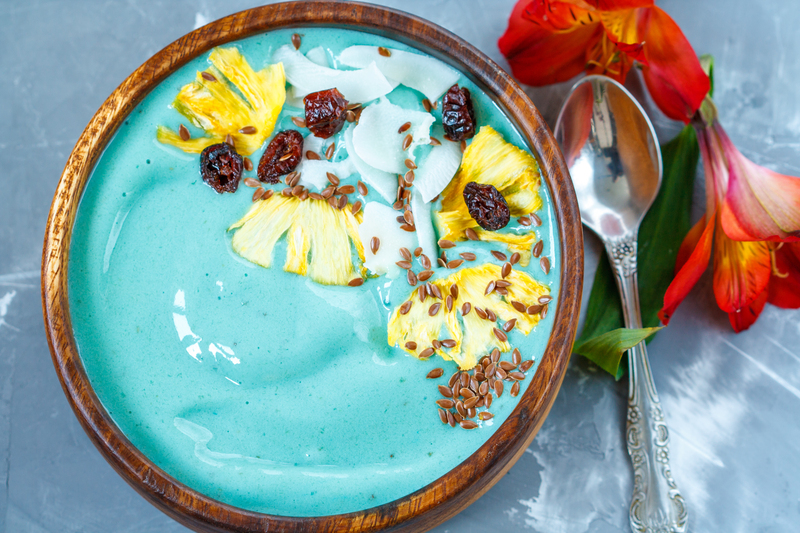 Now that you have an idea about what a smoothie bowl is and what makes it the greatest invention ever, let’s get to making them! In a blender, mix together all the ingredients to form a thicker smoothie consistency.